The servisteel now presents the possibility of training authorized installers. 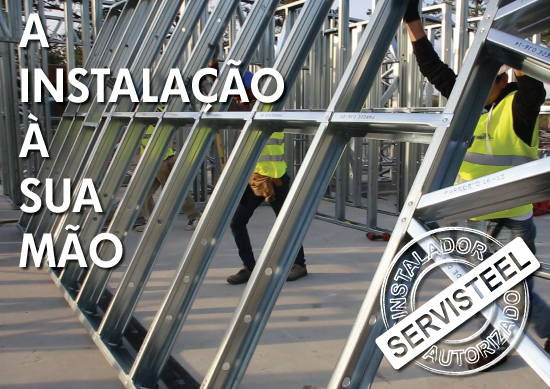 In this way it is possible to attend the training plan of professional installers, with the aim of providing and sharing the knowledge and experience acquired by Servisteel over the ten years of existence in the light steel sector, in urban rehabilitation and new construction. The main focus of the training plan is the commercial, development and application areas of structural steel structural solutions, as well as the control of costs and quality. Leaving amateurism and betting on professionalism is the natural way of innovation and entrepreneurship, aiming at the success and recognition.